Get and stay healthy with YMCA classes, equipment and programs that welcome all ages and fitness levels. Take a class, train with friends, work out in the Fitness Center—try it all. Have fun while gaining strength, endurance and increased energy at any YMCA location in the Twin Cities metro area. Perks include free Group Exercise classes, reduced rates on Personal Training and more. TRY US FOR FREE. A fun climbing challenge for ages 7 - 99! Sunday, May 19 at Hyland Hills Ski Area. 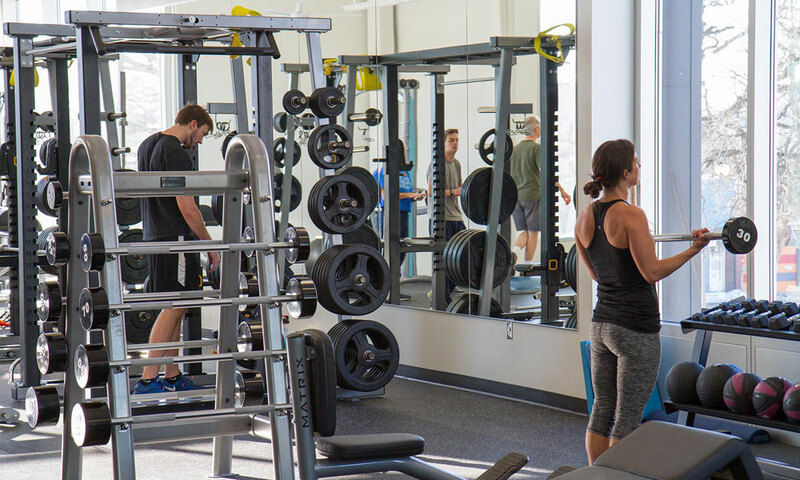 The Fitness Center at each YMCA includes exercise machines, stretching areas, free weights and a weight room. Although specific equipment varies by location, you can achieve a complete workout on the Fitness Center at any Y location—blending flexibility, strength and endurance. The YMCA's Diabetes Prevention Program is specifically for people who have "pre-diabetes" or are at risk for Type 2 diabetes. The group-based program covers nutrition, physical activity and behavior modification. Baby boomers to seniors can connect with the Y community through physical fitness, social activities and more. Programs for older adults accommodate a wide variety of interests and functional abilities. The Journey to Freedom program gives you an opportunity to explore areas of your life that need change through small-group discussion and reflection. Breathe some fresh air into your workout routine and give your mind and body all the benefits the great outdoors has to offer. Camp provides a variety of beautiful, serene walking trails unique to its location.